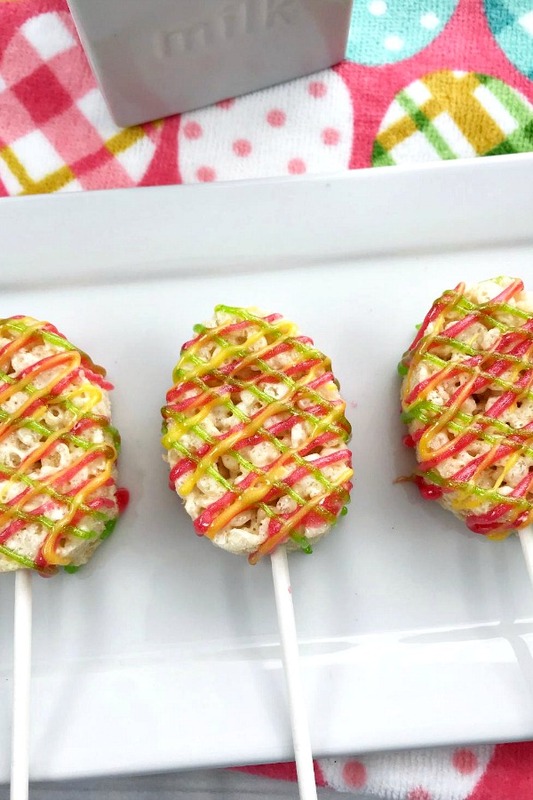 Shortcut Easter Egg Krispie Treats – Here’s a fun food craft to make with the kids. They taste yummy and make great edible gift ideas for Easter. Make a batch soon, everyone will love them! If you are looking for a fun Easter project to do with the kids and grandkids, check this one out. 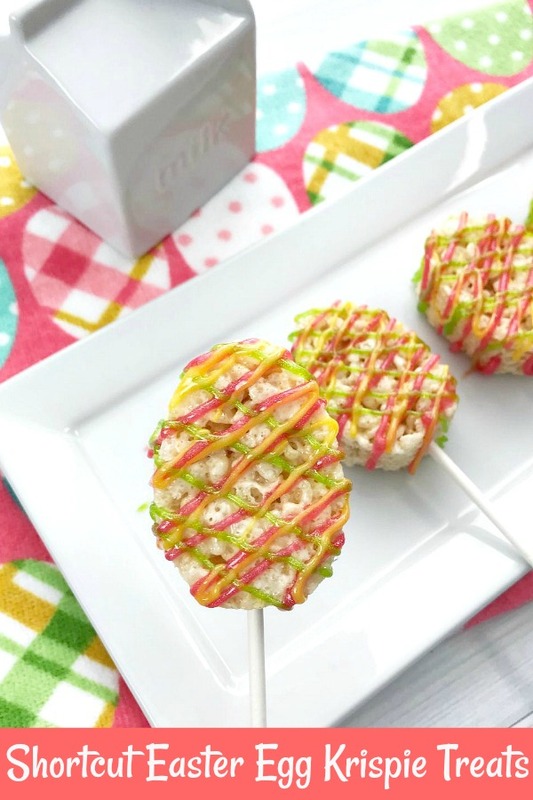 It’s a shortcut recipe using already made Rice Krispie Treats. There’s no cooking marshmallow with butter and a box of Rice Krispies. 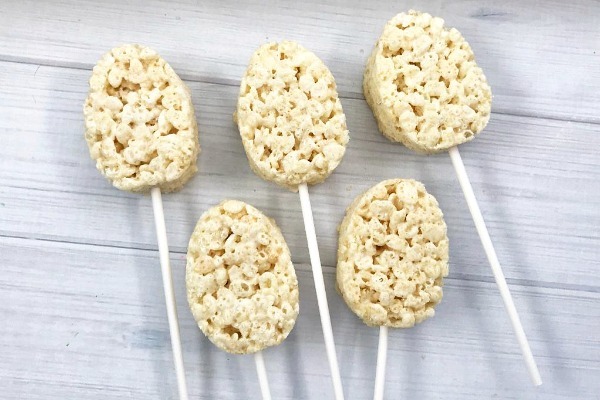 Just pick up a box of Kellogg’s Rice Krispie Treats, some of your favorite Easter decorations along with some lollipop sticks and you have a adorable Easter treat the whole family will love. All decorating gels, cookie cutter, and lollipop sticks were found at a craft store such as Michael’s. You can also find everything on Amazon. We like to put a wrapped treat at each place setting so everyone has a sweet favor to leave with. 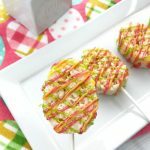 Have fun with this project and enjoy every gooey, crunchy bite! All gels are optional, you can use sprinkles and frosting from a can too. 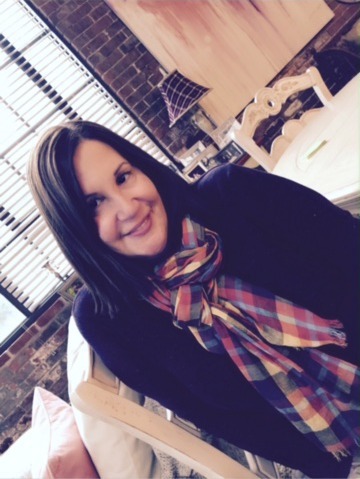 Anything and everything works, it’s your special creation! Use an oval or egg shaped cookie cutter to gently cut the treats into an egg shape. 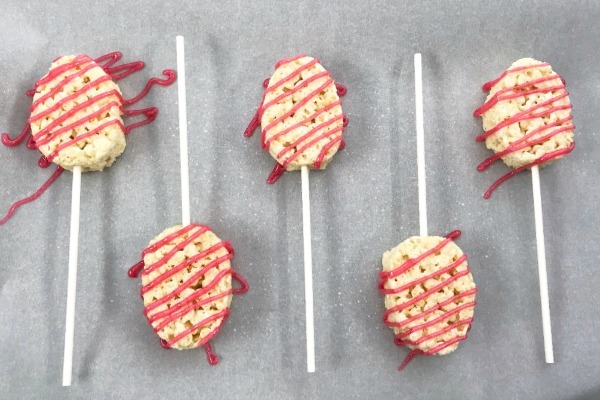 Insert one lollipop stick into the base of each Rice Krispie egg and place on cookie sheet. 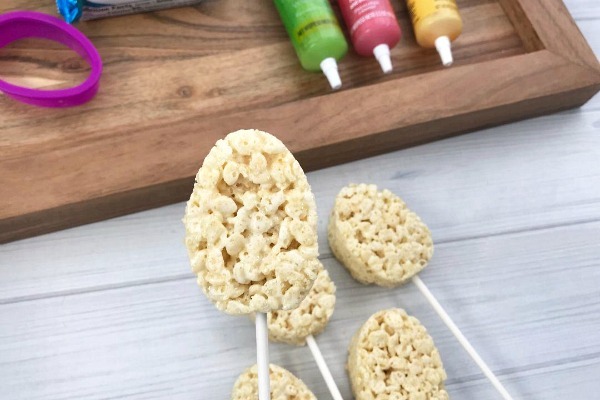 Taking one Wilton sparkle gel color at a time, gently squeeze the tube and criss cross the icing over the top of the Rice Krispie eggs. Repeat with all the eggs. Top with sprinkles now if using. 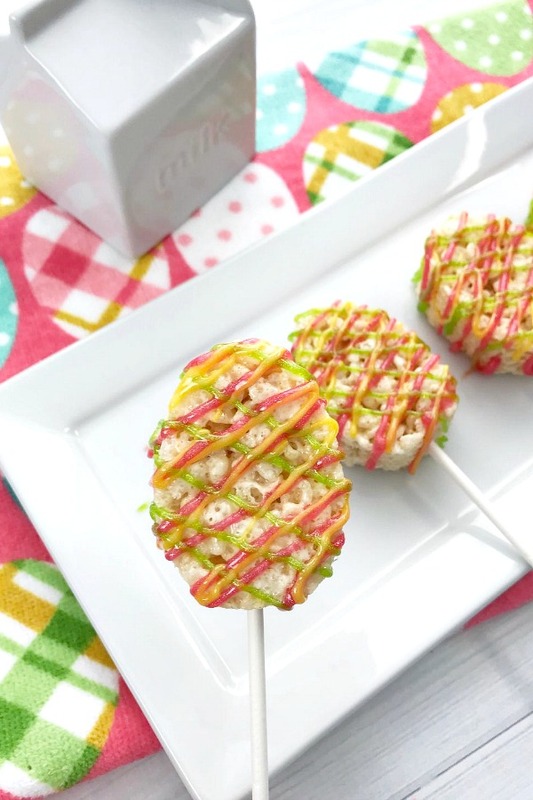 Shortcut Easter Egg Krispie Treats – Here’s a fun food craft to make with the kids. They tastes yummy and make great edible gift ideas for Easter. Make a batch soon, everyone will love them! 1.Line a rimmed cookie sheet with parchment paper. 2.Use an oval or egg shaped cookie cutter to gently cut the treats into an egg shape. 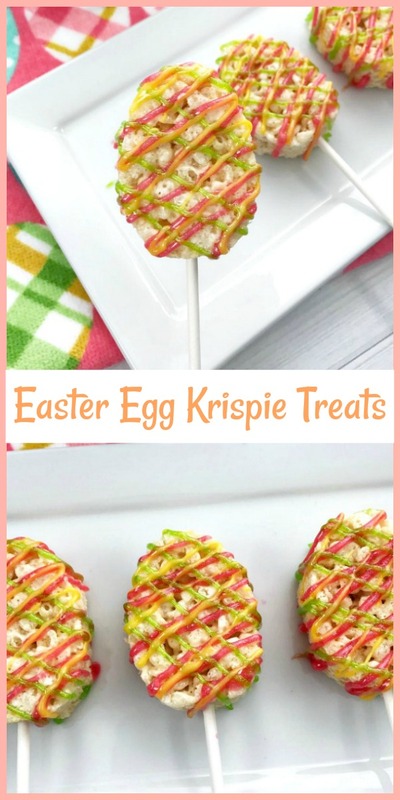 3.Insert one lollipop stick into the base of each Rice Krispie egg and place on cookie sheet. 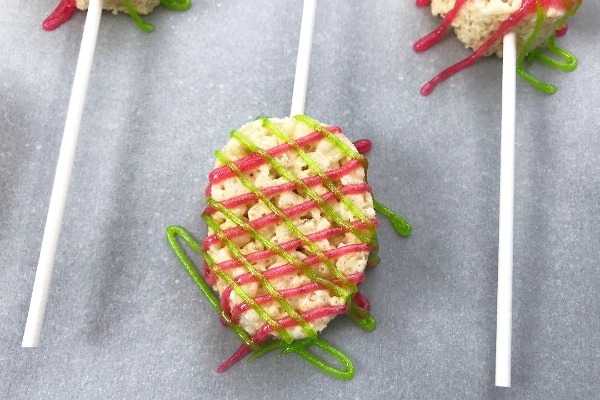 4.Taking one Wilton sparkle gel color at a time, gently squeeze the tube and criss cross the icing over the top of the Rice Krispie eggs. Repeat with all the eggs. Top with sprinkles now if using. Enjoy!